Has Pope Francis lost his mind? Or is the Pope finally coming out of the Communist closet? God can be God without man for God created man, if we reverse this then God is a man made creation – plain and straightforward. Pope Francis was speaking on the theme “God’s paternity, wellspring of our hope,” to a group of pilgrims and other faithful travelers. “Dear brothers and sisters, we are never alone. We may be distant, hostile, we may even profess ourselves to be ‘without God’. 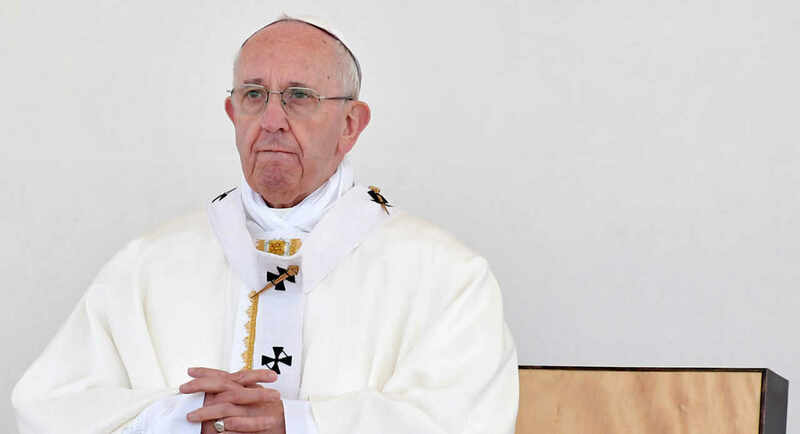 But the Gospel of Jesus Christ shows us that God cannot stay without us,” the pope said, according to a summary of his comments provided by the Holy See Press Office. The atheistic side of what the pope spews is coming to the forefront of his socialistic agenda, to state that God needs man to exist is to practically state that God is a man-made creation, which is entirely antichristian because Christianity is based on the reality that God created Man. In a jaw-dropping response, the Pope says; “It it has been said many times, and my response has always been that, if anything, it is the communists who think like Christians. Christ spoke of a society where the poor, the weak and the marginalized have the right to decide. Not demagogues, not Barabbas, but the people, the poor, whether they have faith in a transcendent God or not. It is they who must help to achieve equality and freedom”. The agenda being propagated by Pope Francis and other Jesuits once again proves that the communist revolution never died off, it simply changed form and went mainstream.